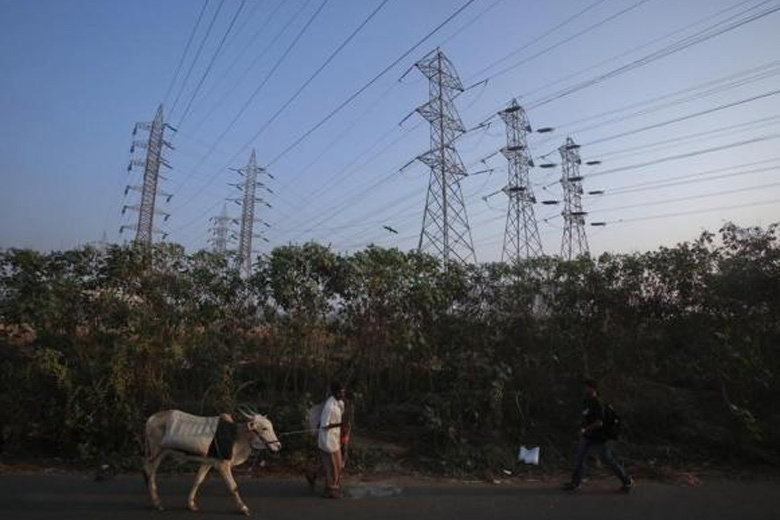 While the hike in power prices will increase rural distress, many farmers believe the move is particularly cruel because the quality of rural power supply hasn’t improved. Garhmukteshwar (Uttar Pradesh): Voting in the civic polls of Bhartiya Janata Party (BJP)-governed Uttar Pradesh (UP) concluded on November 29. A day later, a huge power tariff hike of up to 150% for rural consumers was announced in the state. While the tariff hike, implemented from December 10, is particularly severe on consumers in rural areas, it has been more forgiving of urban consumers, and it leaves the tariffs for industrial consumers untouched. The political opposition in the state has accused the BJP of misleading people by announcing the hike just a day after voting ended in the state civic elections. 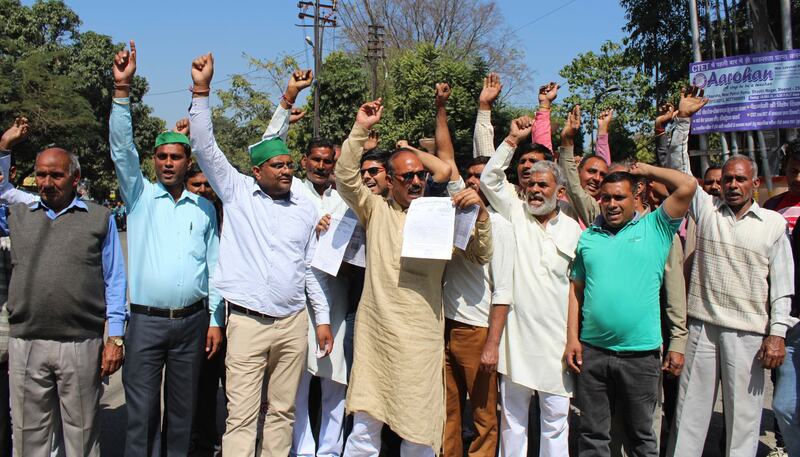 Farmer unions and consumer organisations have also protested against the hike calling it discriminatory and against the interest of farmers who are already suffering under severe rural distress. “The timing of this tariff hike is suspect as it was announced less than a day after civic polls ended in Uttar Pradesh. The BJP government was trying to fool the voters of the state by talking in one language during elections and then introducing this anti-poor tariff hike immediately after voting ended,” said Ghanshyam Tiwari, national spokesperson of the Samajwadi Party (SP). Various farmer organisations have come out onto the streets to protest against the hike and are demanding a roll back. “It is another anti-farmer move of the government. The farmers in the state are under severe stress situations where they are not able to earn enough to survive. At such a time, to introduce such a massive hike in power tariffs is ridiculous,” said Naresh Tikait, president of the Bhartiya Kisan Union (BKU). “If the government thought that farmers had the capacity to pay, then why did they earlier announce a loan-waiver for farmers? Is everything only about political gain?,” Tikait asked. It is also important to note that while four public hearings regarding the tariff hike were held in prominent cities, not a single public hearing was held in rural Uttar Pradesh. Table: New and old power tariffs in Uttar Pradesh. New tariff effective from December 10, 2017. Source: Uttar Pradesh Electricity Regulatory Commission (UPERC) *The tariff of Rs. 400 will be applicable from March 31, 2018. Till then a rate of Rs 300 per month will be charged. Farmers are particularly irked about the increase in charges for tube-wells meant for irrigation purposes. The fixed charges and the minimum charges have been doubled, and the variable per unit charges have been increased by 75%. Now, a 10 BHP tube-well used in summer months would cost the farmer Rs 950 a month on an average, instead of Rs 500 per month under the older tariffs. “In addition, the farmer will have to pay the doubled minimum charge even when he is not using the tube-well, as often happens during the monsoon and winter months,” said Tikait. According to estimates, the average income of a farm household in Uttar Pradesh is Rs 5,00o a month. “Now, an average farmer will be spending 30-35% of his income on electricity. And these are average figures, the income for many households is much lower than 5,000,” said Sudhir Panwar, president of the farmer organisation Kisan Jagriti Manch, and a member of the SP. Pushpendra Singh, president of the Kisan Shakti Sangh, argues that instead of increasing hardship for farmers, the government should focus on increasing incomes for farmers, as has been promised several times by several leaders of the ruling BJP, both in the state and the Centre. “They are only increasing costs for the farmers. Prices for fertilisers, diesel, and now electricity have been increased,” he said. In contrast, the Uttar Pradesh government recently announced an increase of 3.3% in the State Advised Price (SAP) of sugarcane from Rs 305 per quintal to Rs 315 per quintal. “That is not even enough to cover for inflation. And on the other hand, they have increased power tariffs by 150%,” Singh said. At a farmer protest meet in Janupura, a small village close to Garhmukteshwar in Western Uttar Pradesh, hundreds of farmers gathered to listen to Kuldeep Tyagi, farmer leader and president of the Bhartiya Kisan Andolan. “This government has only caused harm to the farmer. Doubling the electricity tariffs is nothing short of criminal. We must teach this anti-farmer government a lesson and force them to take back this hike or else we will be forced to go back to the laltain yug (the era of the lantern),” Tyagi said to a receptive audience which cheered him on as it soaked up some of the December sun and shared puffs from a hookah – an integral part of any rural gathering in Western Uttar Pradesh. “You look at the condition of farmers in the state. They are finding it almost impossible to even meet their existing expenses. Incomes of farmers are stagnant – even falling in some cases. If the tariff hike is not rolled back, many households will simply have to give up using electricity and go back to pre-electricity days,” Tyagi explained to me, after his speech, what he meant by ‘going back to laltain yug’. Effectively, the skewed power tariff hike means that the cross-subsidy element inherent in the power tariff structure has been drastically reduced. Himanshu, an associate professor of economics at Jawaharlal Nehru University (JNU), believes that shifting the burden onto the farmers is not a good idea. “It is a terrible idea. Incomes from agriculture have not been increasing. Cost of production for farmers has been going up. There is a dire situation in agriculture. And on top of that, you burden the farmer with higher power tariffs,” he said. The Uttar Pradesh Electricity Regulatory Commission (UPERC), which is responsible for power tariff determination in the state, has argued that the tariff hike for rural consumers, although steep, was required as the power distribution companies in the state have been suffering massive losses for the last several years. “The power companies are not able to even recover their costs. One of the major reasons for that is the low tariffs in rural areas,” S.K. Agarwal, chairman of the UPERC, said. According to an analysis of the Uttar Pradesh Electricity Distribution Companies (DISCOMs) by the Rural Electrification Corporation (REC), the net loss of the five discoms in the state for the financial year 2017 stood at a staggering Rs 7,791 crore. The REC analysis found that the discoms were performing poorly on all benchmarking parameters, and were found to be performing well only when it came to increasing tariffs. Agarwal argues that despite the tariff increases, rural tariffs were still lower than those prescribed in the National Tariff Policy. According to the policy, the tariffs should not be higher or lower than plus/minus 20% of the average cost of supply for all categories of consumers. “My average cost of supply is Rs 6.64 per unit, and the rural tariffs were considerably lower than the minus 20 percent limit. So, this tariff hike is in-line with the guidelines,” he said. Avadhesh Kumar Verma, chairman of the Uttar Pradesh Rajya Vidyut Upbhokta Parishad, argues that the rural tariff hike is unacceptable as the quality of supply in rural areas is not ideal. “If you pay high prices for a service, you should also get quality supply. That is simply not the case. Rural areas are not getting more than 12-14 hours of supply, as against the 18 hours that the DISCOMs claim,” he said. In April this year, soon after taking over as chief minister, Adityanath had announced that all rural areas will be supplied electricity for 18 hours in a day. However, the promise is yet to be fulfilled as residents in several villages of Western Uttar Pradesh have claimed that they are not getting the promised 18 hours of electricity supply. In fact, in some villages the supply is only around eight to ten hours. “Eighteen hours is a far-fetched dream. We are grateful if we receive electricity for eight hours in a day,” said Monu Choudhary, a resident of Daurala near Sardhana. In addition, rural areas have to frequently deal with power disruptions – euphemistically known as ‘faults’ – for several hours, sometimes days, due to wire breaks and transformer breakdowns. “If a transformer breaks down in our village, it takes five to six days to replace it,” Choudhary said. In April, Adityanath had also announced that it will no longer take more than 48 hours for damaged transformers to be replaced in rural areas. Another announcement that has had little impact on the ground. “When the quality of supply has not improved why should the consumers pay more?,” asks Verma. The Ministry of Power releases ratings for state discoms annually, where the companies are judged on operational, financial, regulatory and reform parameters. In its report released in May 2017, three of UP’s five discoms were rated in the lowest grade, ‘C’, with a score between zero and 20. The other two discoms found themselves in the second lowest grade, ‘C+’, with a score between 20 and 35. The report went on to highlight high aggregate technical and commercial (AT&C) loss as a key concern for all except one DISCOM. Technical loss arises due to loss of electricity during distribution, while commercial loss arises from non-realisation of billed amount due to theft and deficient metering. A certain amount of technical loss, around 6-8% is inevitable, but commercial loss can be brought down to zero. Uttar Pradesh’s discoms have been unable to bring down their AT&C losses to acceptable levels, even as the best performing discoms in the country have brought them down to under 10%. The loss means that if the Dakshinanchal Vidyut Vitran Nigam Limited, for instance, supplies 100 units of electricity, it is able to recover tariffs only for 55.6 units. “Yes, inefficiencies are huge. It results in loss of revenue for discoms which are already stressed,” Rahul Tongia, fellow at Brookings India, whose research focuses on the energy sector, said. Avadesh Kumar Verma is of the view that the discoms should focus on reducing their AT&C losses to increase revenue instead of further burdening consumers who are paying their bills. “They need to increase their net of consumers who pay. Instead of doing that, they are trying to extract more from consumers who are already paying. This amounts to penalising them,” he said. In a way, the situation reflects what in economic theory is called the free-rider problem, characterised by an inability to exclude non-payers. Why has it been difficult for the discoms to address this problem? Tongia believes that a trust deficit is at the centre of it. “As long as discoms are stressed, they will not provide quality supply. That leads to a trust deficit, and consumers are not going to pay. If it takes four days to fix a transformer, no consumer would want to pay for shoddy services,” he said. According to a former employee of one of the discoms who held a high-level position, another reason for high levels of commercial loss is corruption. “It is not just faulty metering. Sometimes, the person who goes to take the meter reading is paid off and that bribe reaches up to high level officers,” the former official told me on the condition of anonymity. In addition to the high levels of AT&C losses, further raising costs are high levels of operating and maintenance (O&M) expenses and high costs of purchase of electricity. Verma emphasises that all of these factors are for the discoms to take care of in order to reduce costs. “Reducing these costs is not the job of the consumers. The consumer is being made to pay for the inefficiencies of these discoms,” he said. The Uttar Pradesh Rajya Vidyut Upbhokta Parishad, chaired by Verma, has written to the UPERC to roll back the hike. The Bharatiya Kisan Union, on the other hand, is threatening a ‘massive’ agitation on the lines of the one that propelled Mahendra Singh Tikait, the legendary farmer leader from Western UP, to national fame in 1987. “1987 yaad hai na? (You do remember 1987?) That agitation also started with electricity related issues. If the government doesn’t roll back this hike, we will do what Baba Tikait (Mahendra Singh Tikait) did in 1987,” said Naresh Tikait. It is clear that the power tariff hike in UP will add to the financial stress of farmers faced by rising costs of production and stagnant levels of income. But, it will be a herculean struggle for the farmers to unite for this cause – or for their larger cause – as the polity seeks to divide them – as indeed, all citizens – on caste and religious lines. These political tactics often lead farmers to think of themselves as Hindus or Muslims or Dalits or Jats first, and as farmers only later. Further marginalising the voice of the farmer is the diminished status of regional farmer organisations and political parties in Western Uttar Pradesh – the first represented by the the Bharatiya Kisan Union, which is only a shadow of the organisation that it was under Mahendra Singh Tikait, and the second represented by the Rashtriya Lok Dal, once hugely influential in Western Uttar Pradesh, which now stands battered, bruised and thoroughly marginalised due to successive electoral defeats. Kabir Agarwal is an independent journalist whose writings have appeared in The Kashmir Walla, The Times of India, Mint, Al Jazeera English and The Caravan. He can be found on twitter @kabira_tweeting.